Two brothers co-own an Olympia liquor store and gun club they say is like no other establishment in the country. At T Brothers Liquor and Wine Lodge, the owners claim to have the largest selection of mini-liquor bottles and the lowest growler prices in the city. But the most unique part of the downtown Olympia liquor store is likely the private gun club behind an unmarked door. “We don’t think there’s anything like this in the country,” said Andy Thielen, co-owner of both the liquor store and the Glacier Gun Club. He and brother Mike Thielen opened the liquor store in 2012 and always thought there was too much wasted space in the storage rooms in the back. “We believe every square foot is a dollar missing if you’re not utilizing it properly,” said Mike Thielen. Together, the brothers turned the stock rooms into the gun club in 2015. In addition to six lanes of a shooting range, there are leather couches, a training room, and a cigar lounge for members. The Thielens said they have more than 1,000 members who passed the required background check. 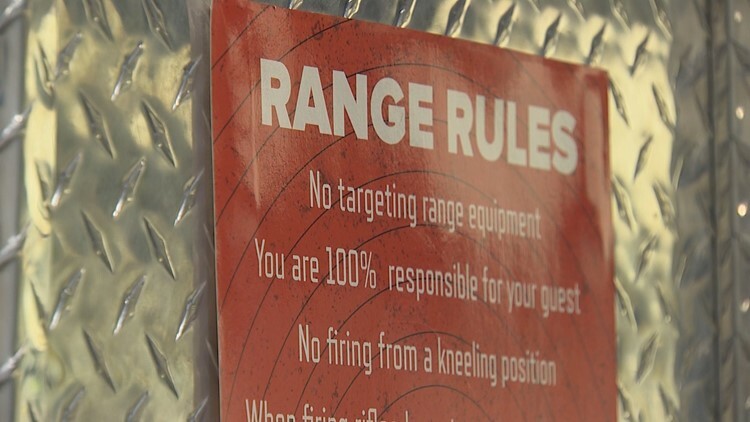 Club rules prohibit alcohol in the gun range and anyone wanting to shoot cannot have consumed alcohol over the past eight hours. Andy said members have not had a problem with alcohol use.